Which NBA Teams Could Go From Playoffs to Ping-Pong Balls in 2017-18? While many contenders fortified their rosters this summer, several playoff mainstays took a step back. Here are four playoff teams in danger of missing the postseason in 2017-18. ​As a slew of playoff contenders dotted their rosters with superstars and key additions this offseason, a select few saw their postseason window shrink. Denver, for example, bolstered its chances of reaching the playoffs for the first time since 2013 by adding Paul Millsap in free agency, while Atlanta now finds itself without a reliable scoring option or interior presence. And as Oklahoma City paired Russell Westbrook with another All-Star in Paul George, the Pacers are now stuck relying on 21-year-old Myles Turner to carry their offense. So which 2016-17 playoff teams are in danger of returning to the lottery? Here are four candidates to watch this season. Outside of the 50-win factory still thriving in San Antonio, no NBA team holds a longer active postseason appearance streak than the Hawks. Atlanta has made the playoffs in each of the past 10 seasons, a decade featuring three coaches and six playoff series victories. Nobody ever mistook Atlanta for a title contenders—aside from the team’s 60-win season three years ago—but a decade of playoff basketball is quite the accomplishment for an organization that held a losing record in each of the previous eight seasons. Unfortunately for Atlanta, that streak projects to end this year. The Hawks lost a number of key players in the offseason, including three of their top four scorers. Millsap signed with the Nuggets, Tim Hardaway Jr. inked a $71 million deal with New York, and Dwight Howard found himself shipped to Charlotte in June. Atlanta’s highest returning scorer is 23-year-old point guard Dennis Schröder, who, while a nice young asset, also finished last season sandwiched between Derrick Rose and Lou Williams in points per game among point guards. He’s not a dynamic enough scorer to lead a successful offense at this point in his career. Expect the Hawks to enter the tanking portion of their season around the All-Star break. Atlanta hasn’t proven to be an enticing landing spot for marquee free agents over the past decade, and after losing Al Horford and Paul Millsap in back-to-back years, the smart move would be to invest in the team’s young talent. Schröder should see further development in his fifth season, and the Hawks sport an intriguing pair of young forwards in John Collins and Taurean Prince. Playoff contention is unlikely for this bunch. Much like Atlanta, Memphis has been a playoff stalwart over the past decade. The Grizz have now made the postseason seven years in a row, with their peak coming during a conference finals trip in 2013. However, Grit-n-Grind’s presence in April and May is no lock this year. The good news for Memphis? It still has two legitimate stars in Mike Conley and Marc Gasol. The pair forms one of the most lethal pick-and-roll combos in the league, bolstered by Gasol’s newfound range. He canned 104 threes last year after making just 12 treys in the past seven seasons combined, adding another element to his impressive arsenal. 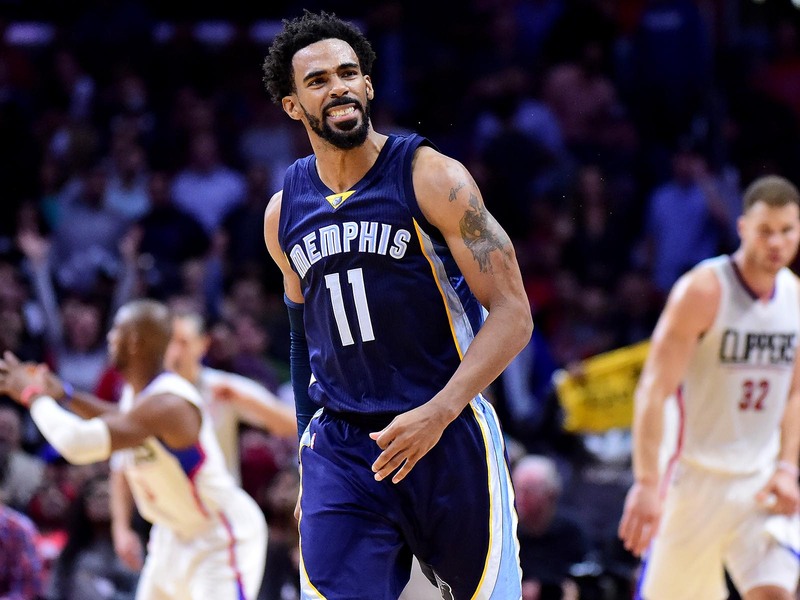 As for Conley, he had a career year himself in 2016-17. The former Buckeye averaged 20.5 PPG, shooting 41% from deep. The problems for the Grizz start once you look past those two stars. This isn’t the Memphis of old. Franchise mainstays Zach Randolph and Tony Allen are no longer with the team (although Allen remains unsigned and could possibly return) and Vince Carter joined Randolph in Sacramento during free agency. In their place stands a collection of unpolished talents and mid-level contracts, and it’s unclear whether Memphis has any replacements that can turn into reliable options. The Grizz are hopeful that Chandler Parsons can return to his Dallas form, but that’s a longshot at this point in his career. Parsons missed 48 games in 2016-17, looking creaky and out-of-sorts when he did take the floor. He shot a career-low from the field and from three, netting just over six points per game. Don’t bet on a vast improvement from Parsons anytime soon. That said, it’s never a good idea to count out the Grizz, even after a disappointing summer. Gasol will continue to be a force on both ends, and teams heading to Memphis always know they’re in for a fight (just ask the Spurs). However, while nearly every team in the West improved its roster this offseason, Memphis regressed. And as currently constructed, this Grizzlies roster should find itself on the outside-looking-in come playoff time. Utah could still sneak its way into the postseason and make life hell for any opponent. And who knows, maybe some stifling defense and a couple of Iso-Joe Johnson game-winners could swing a playoff series. But in a crowded Western Conference, no postseason position is secure. If Utah struggles to score at an effective clip each night, it will find itself closer to the bottom in the conference standings than the top by season’s end. In exchange for Paul George, the Pacers accepted a two-piece package from the Thunder: Victor Oladipo and 2016-17 rookie Domantas Sabonis. Both are solid complementary pieces, but neither projects to be the type of perennial All-Star that George has become. Because of that, Indiana's ceiling is around the No. 8 seed, at best, this season. Many questioned GM Kevin Pritchard’s decision to accept OKC’s offer over the reported three-teamer with Cleveland and Denver, and rightfully so. Myles Turner is a key young asset, but it’s doubtful his development alone will lead to any meaningful playoff success in the next few years. Indiana’s path back to relevancy will most likely come through acquiring young assets, either via trades or the draft. Indiana now finds itself in a strange situation. It has a number of solid veterans and reliable role players, but no dominant scorer. No player on the current roster has made an All-Star team, with Al Jefferson nabbing a third-team All-NBA nod back in 2013-14. Indiana may generate enough wins to go .500 and compete for a playoff berth, but don’t be fooled. 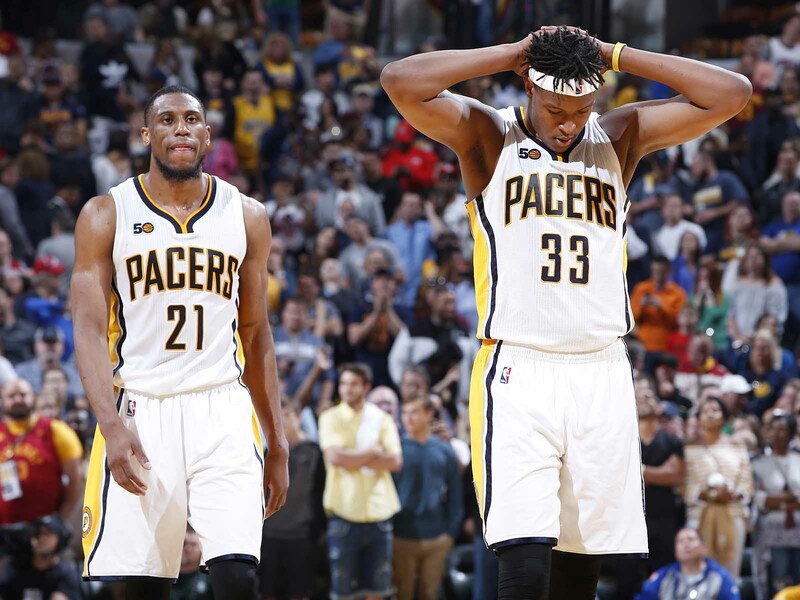 The Pacers are far from contenders in the East. They should look to ship some veterans near the deadline, and build around Oladipo, Turner, and their lottery selection in 2018.